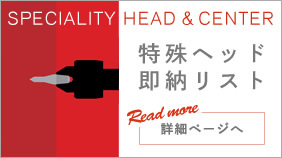 Since the release of Kabuto center in 1964, our product has had patronage from a lot of users include machine tool makers, automobile makers, parts makers, farm equipment makers and office equipment makers, we have also received opinions and advice from producers and established the reliability of our product step by step. Under the circumstances of the recent diversification of the Japanese economy and tough situation, we suppose that users are also forced to reduce both internal and external costs. In response to these requests, point replacement type rotating center makes it possible not only to reduce process cost by replacing each kind of head (center head) for process and work form, but also simplifies the process by using specialty heads, and it has received a reputation ranging from big manufacturers to individual users. We will make an effort to respond to higher precision operation and higher efficiency on-site and develop product to completely meet the needs of the age. If you have any question about the process content after referring to our homepage, please contact us. Osaka prefecture dealing with diesel related and car parts. In addition to conventional production, production and sale of general grinder machines including cylindrical grinder was launched. 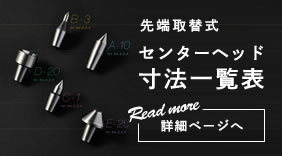 Company names was changed from Katahara machine factory to Nihon Seiken Industry Co., Ltd. and started the production of mandrel for precision honing. Moved to 281, goshokakiuchi, higashitada, Kawanishi, Hyogo and built new factory. From this time, operations were restructured to open a path for long-service employees and support to be independent, and divided the company into groups with the concept of “Freedom and Cooperation”. Supplementary tool for precision machine was mainly produced instead of machine tools, and patent for head replacement type rolling center originally developed with mandrel for honing was applied for in Japan, Germany and America, and started production and sales. With the spread of the product, company name was changed to be easily recognized from Nihon Seiki Co., Ltd. to Kabuto. MGF. Co., Ltd. named after trademark. With cooperation with Endo Ltd., spindle unit as “OEM” production was started. With cooperation with Takahashi ironworks Co., Ltd., precision type L vise, precision 2D vise was started production. Started to sell a series of precision vises, 2D vise and sign-plate. “Waterproof, high speed rolling center” product name: fine live center was developed and stared production and sales. Large-size automatic washing machine was introduced to improve quality. Seal center was developed and started production and sales. New product, several types of rolling center with support nut was developed, produced and sold. Received a patent for KCW, and started to production and sales. Catalog was renovated and standard machine was added at the same time. Lathe center with specialty screw (KLN) was started to sell as standard product. Eco-friendly large-size fully automatic washing machine was introduced to improve quality. 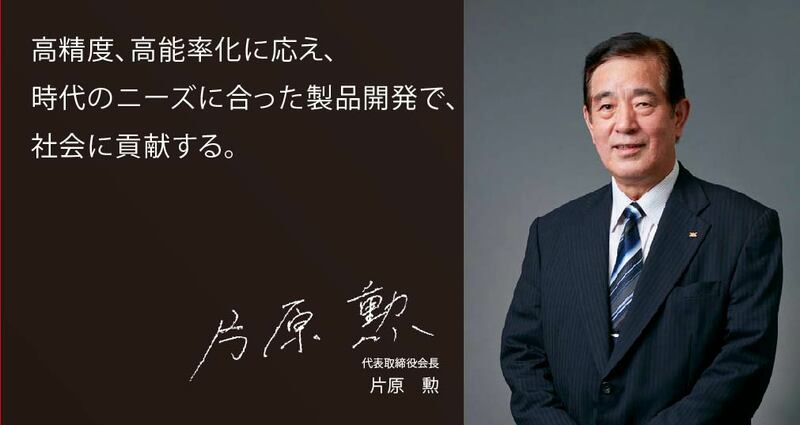 We got the approval of "busines innovation plan" from the Governor of Hyogo Prefecture. We were chosen by "SME support net hyogo" as a company with high expectations of growth. Enter Hanshin Expressway Ikeda Line from Toyonaka I.C. Before the exit at Ikeda, enter turnoff for Nose, Kameoka and Kawanishik-Obana. After Big Harp (suspension bridge type), turn left at Kibe exit, and go straight ahead on Route 173 for Nose. From Hankyu Umeda to Takarazuka line “kawanishinoseguchi”, and take Nose railway, and get off at “Tada” station. Five minutes walk from the station.